DETROIT — It’s been about a decade since the “Detroit Sleeper Cell” case imploded and ended up being a big embarrassment to the Justice Department and the FBI. You might recall, shortly after Sept. 11, 2001, four men were charged in Detroit with operating a sleeper cell that was plotting to pull off terrorist acts. 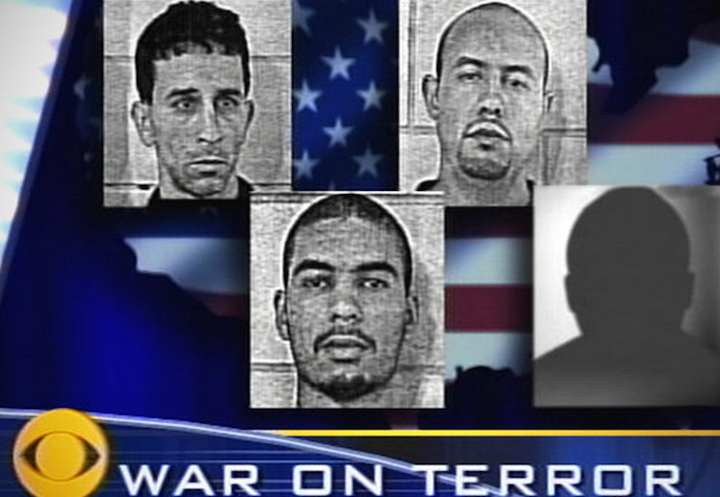 In 2003, two of the four men were convicted of terrorism charges. But the defense learned that the government withheld information that might have helped their clients, and eventually in 2004 U.S. District Judge Gerald Rosen vacated the terrorism convictions. Essentially, the judge concluded the case was nonsense. The Retro Report, a documentary organization, has partnered with the New York Times, to produce an 11 minute, 45 second documentary, “The Detroit Sleeper Cell.” The documentary was released Monday. The documentary takes a look back at the case and talks to some key players, including former prosecutor Keith Corbett who assisted the lede prosecutor RIchard Convertino on the case. Posted: 11/18/13 at 1:50 PM under News Story. If the FBI agents keeps you scared they bring home a weekly paycheck,eh? Booh! Did I scare you? So this is how you allow your tax dime to be spent. In three steps. As always see link for each step. Award-winning journalist Trevor Aaronson digs deep into the FBI’s massive efforts to create fake terrorist plots. The only surviving convicted criminal in the April 19, 1995, bombing of the Alfred P. Murrah Federal Building in Oklahoma City is saying his co-conspirator, Timothy McVeigh, told him he was taking orders from a top FBI official in orchestrating the bombing. A declaration from Terry Lynn Nichols, filed in U.S. District Court in Salt Lake City, has proven to be one of the most detailed confessions by Nichols to date about his involvement in the bombing as well as the involvement of others. The declaration was filed as part of Salt Lake City attorney Jesse Trentadue’s pending wrongful death suit against the government for the death of his brother in a federal corrections facility in Oklahoma City. Trentadue claims his brother was killed during an interrogation by FBI agents when agents mistook his brother for a suspect in the Oklahoma City bombing investigation. The most shocking allegation in the 19-page signed declaration is Nichols’ assertion that the whole bombing plot was an FBI operation and that McVeigh let slip during a bout of anger that he was taking instruction from former FBI official Larry Potts.